We’d love your help. 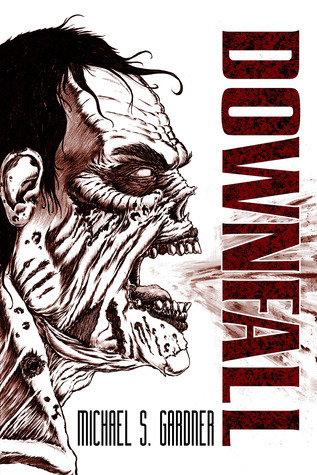 Let us know what’s wrong with this preview of Downfall by Michael S. Gardner. Heroes aren’t born; they’re molded from the surroundings in which they live. Dejected from the loss of his girlfriend, Mathew Ryland finds himself leading a motley crew of survivors in a world where the dead stalk and consume the living. Having taken the life of a man in cold blood, Mathew now searches for who he is and who he once was, risking his life and the lives of tho Heroes aren’t born; they’re molded from the surroundings in which they live. Dejected from the loss of his girlfriend, Mathew Ryland finds himself leading a motley crew of survivors in a world where the dead stalk and consume the living. Having taken the life of a man in cold blood, Mathew now searches for who he is and who he once was, risking his life and the lives of those close to him in order to secure the foreseeable future. Mathew, along with his best friend, Cole, forage the lands, leaving behind those loved and those known only for days. Through their journeys, they learn that oftentimes enduring means to forego that which has been instilled in us from the time we were children. The story starts 2 weeks after the initial outbreak where we are introduced to 3 members of a small group of survivors, Matt, Cole & Alex, & drops you straight into the action of a supply run gone bad. For here the story goes from strength to strength including a chance encounter with a group of thugs moving a group of prisoner's which includes one person that will have a significant affect on them & the rest of the group as a whole. A cracking story with a good strong cast of charac The story starts 2 weeks after the initial outbreak where we are introduced to 3 members of a small group of survivors, Matt, Cole & Alex, & drops you straight into the action of a supply run gone bad. For here the story goes from strength to strength including a chance encounter with a group of thugs moving a group of prisoner's which includes one person that will have a significant affect on them & the rest of the group as a whole. A cracking story with a good strong cast of characters, some which unfortunately don't make it to the end of the book, & if this is the first of a trilogy, then I'm looking forward to the rest of the series. Residing in Newport News, Virginia, Michael spends his free time writing horror, be it short stories, novellas, or novels. Currently, his short story collection, "Death in the Times of Madness," is available in both paperback and Kindle editions. Forthcoming works include a zombie novella, "Betrayal," and a pirate novella, "The Blood of an Immortal." When he's not writing, he's usually reviewing b Residing in Newport News, Virginia, Michael spends his free time writing horror, be it short stories, novellas, or novels. Currently, his short story collection, "Death in the Times of Madness," is available in both paperback and Kindle editions. Forthcoming works include a zombie novella, "Betrayal," and a pirate novella, "The Blood of an Immortal." When he's not writing, he's usually reviewing books or interviewing authors in the horror genre. View his blog at: www.atasteofterror.blogspot.com.